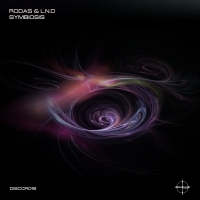 No stranger to the world of Discover, Rodas teams up with L.N.D in order to further flex his production muscles and this is difinitely a marriage that works. Symbiosis is both stark and warm in equal measure, conjuring images of both light and dark throughout. The minimalistic approach to the tune creates tension with the unrelenting acid dropping in and out of focus through the clever use of filtering and EQ. The result is hypnotic, powerful and highly emotional. 'Symbiosis' is available now from Beatport and iTunes.